John F. Kennedy Park – Yamabe & Horn Engineering, Inc. 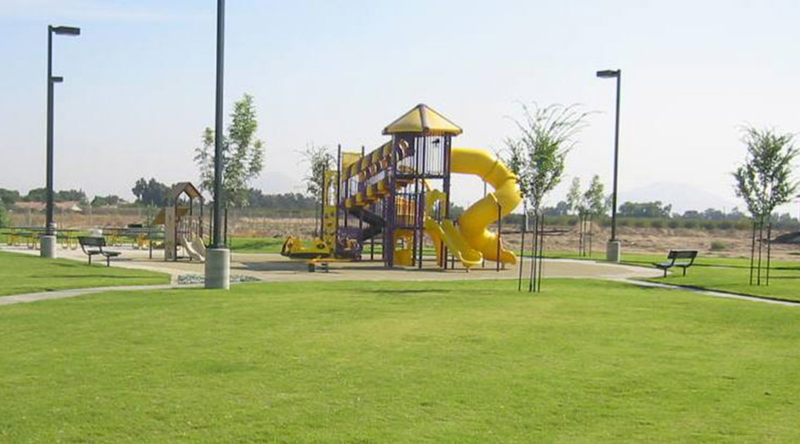 Working under contract as the City Engineer for the City of Sanger since 1987, Yamabe & Horn secured State Parks and Community Development Block Grants in 2001 to be used for the creation of a robust neighborhood park with many innovative features outlined below. They were responsible for every stage of development, from securing funding to creating the master plan, as well as engaging the community for input and managing the contractors involved. Given the long term relationship with the City as their City Engineer, Yamabe & Horn was able to help identify the location and features of the park that would bring the greatest value to the community, while also scoring well in the application process to secure the maximum funding from the State. Significant input from community members was facilitated by Yamabe & Horn with the City Council to determine what features the residents desired. There were many young families in the surrounding neighborhood, so special attention was given to features that would appeal to children of all ages. 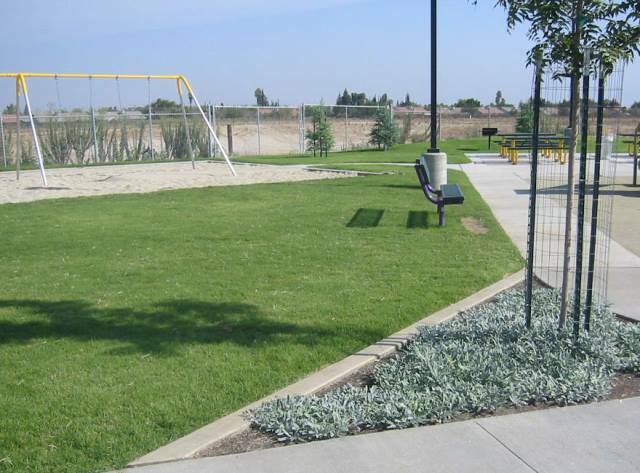 The park had many features that served the community as well as the City, starting with a storm basin that was the created from the master drainage plan Yamabe & Horn developed. Like many storm basins in the area, it was laid out to accommodate field sports the majority of the year as it sits empty, such as soccer and softball. As a bonus, a walking trail with a rubberized surface was created around the perimeter of the basin to provide a comfortable, consistent walking path for visitors. 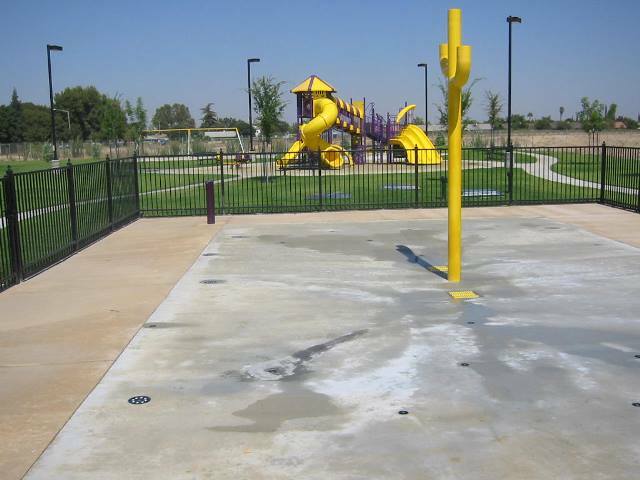 The most innovative feature of the project was the Spray Park, which was the first one installed in any park in Fresno County. Getting this approved and installed required significant interaction with the State Health Department since daily supervision of children playing in it was not provided by the City. Documenting the drainage plan as well as the surface finish that would reduce slips and falls helped with getting approval from the State, delivering a high value feature to the park for the children to enjoy on hot summer days that are typical in the area. Tot-Lot Play Area: Numerous play structures were installed to safely accommodate usage by all ages of children. Benches were placed around it for parents to easily supervise from. Spray Park: This water play feature was gated to prevent roaming children from accidentally entering it unsupervised and included nearby benches for parents to easily supervise from. Basketball Courts: Two full basketball courts were installed adjacent to the parking lot and have significant tree lined green space around them for spectators to gather, or players to relax in. BBQ & Picnic Gazebo: Located adjacent to the Tot-Lot play area, this provides shade and tables for families to relax under while letting their children play closely supervised. Public Restrooms: Centrally located in the park to provide easy access to any visitors in need. Rubberized Walking Trail: Surrounding the storm basin with this provides a comfortable, consistent walking path for visitors to use anytime. Easy Access Parking Lot: Significant parking stalls were created with direct access to the park, keeping visitors from having to cross any streets or endure long walks carrying food or park related supplies. Road Frontage Improvements: Curb, gutter and sidewalk paving was installed around the three frontage sides of the park, improving road quality for vehicle and pedestrian traffic on the roads.